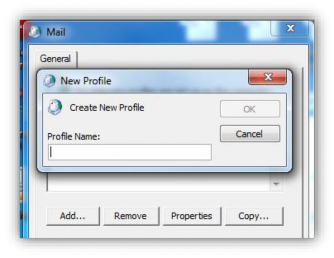 In order to configure your profile automatically in Microsoft Outlook you must have the relevant Cobweb Hosted Exchange Auto Discover (CNAME) Record. Please see the relevant 'Domain Configuration' document in the Hosted Exchange section of our Knowledge base for more information. 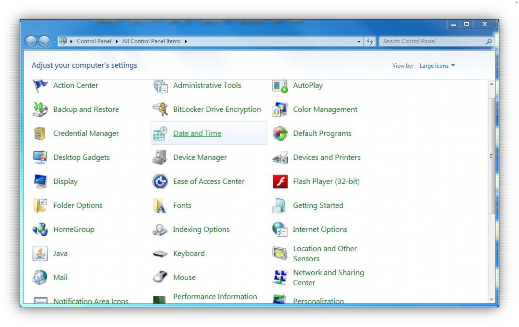 Click the Start logo and then click Control Panel. 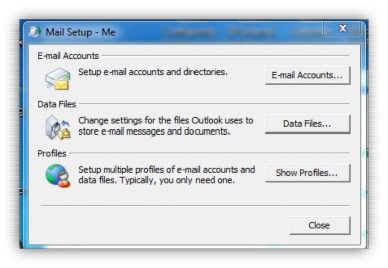 Ensure the Control Panel is set to View by Small Icons or View by Large Icons and then select the Mail icon. Select Add and give your profile a name, this can be anything that will allow you to easily reference the account. Once you are happy with the name click OK. Fill in your name, email address and password before selecting Next. 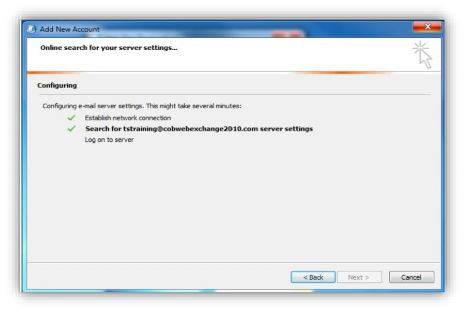 Outlook will now search for the server settings; this may take between 1-5 minutes to complete. 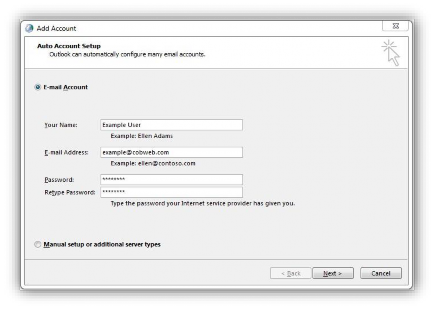 When prompted by the windows security popup, enter your mailbox email address and password before clicking OK.
Go to Finish and click OK to close the mail application. 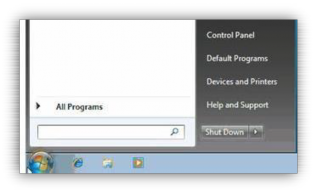 Exit the control panel and open Outlook.